The AMP (Accelerated Mobile Pages) project is Google’s open-source framework designed to improve the performance of web content and advertisements. Its original goal was to make mobile pages load faster. Today, the credo is to enable “the creation of websites and ads that are consistently fast, beautiful and high-performing across devices and distribution platforms”. Last week, the AMP project has been extended by an AMP4EMAIL proposal. The goal of the new specification is “to enhance and modernize the email experience through added support for dynamic content and interactivity while keeping users safe”. To use AMP4EMAIL, a sender has to embed AMP HTML in the message body as a new MIME part. MIME (Multipurpose Internet Mail Extensions) is the internet standard that allows you to put different content types like plain-text and HTML as separate parts into your email. The new AMP part will be rendered by email clients supporting the spec, with graceful fallback to non-AMP content. Note the interactive arrows on the left and on the right side of the image. How to code such an interactive AMP EMAIL? The above example is straightforward. Let’s inspect the text-x-amp-html part of the email, or rather the AMP-HTML code inside. The right side then shows the rendered representation of your code. Feel free to experiment with different parameters and components. What possibilities does AMP4EMAIL offer? The image carousel is a simple example. AMP for Email has a lot more to offer. It does not cover the whole AMP spec due to email-specific security reasons. However, supposedly email-safe components like amp-form, amp-anim,amp-lightbox and some others open up interesting options for interactive features and real-time content, i.e. content that updates upon opening an email. At the AMP Conf 2018, which took place on Feb 13 and 14 in Amsterdam, Doodle, Booking.com, and Pinterest explained how they use it. AMP EMAILS allow their subscribers to respond to surveys and pick availabilities, they can explore offers, update email preferences, browse through pins and save them – all right within the email, without visiting landing pages. 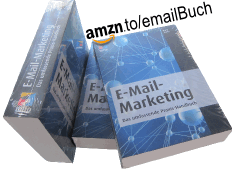 It’s the interactive real-time content, which email marketers always dreamed of, and which was previously reserved for html experts and agile applications like Liveclicker or Multifunction Mail (in Germany). Can I use AMP for Email, now? Not really. The proposed AMP for Email specification is available on github.com/ampproject, now. Google also offers a limited number of marketers to sign up for a Gmail Developer Preview. The preview allows to start building and testing dynamic AMP EMAILS in Gmail. In order to participate, a legal contact first has to sign Google’s non-disclosure agreement. Apart from the preview, the launch date is unclear, as well as the supported email clients. 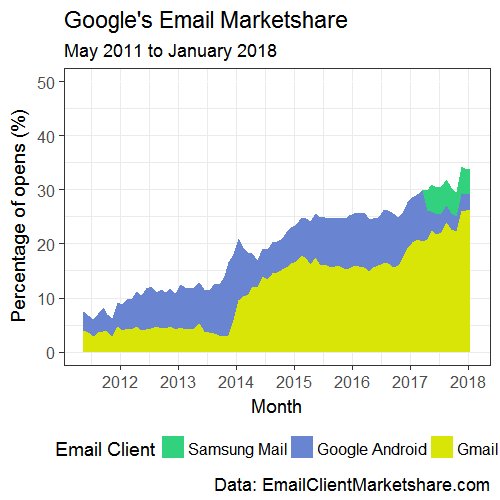 Google announced that “AMP for Email [… ] will be supported in Gmail later this year.” So it remains to be seen whether this includes, for example, Gmail for Android and Inbox by Gmail, and if “later” actually means “end of ”. Although AMP for Email is an open specification, it is unlikely that other email providers like Microsoft will adopt it. This did not happen with schema.org Email Markup, let alone with AMP, which was taken up with mixed feelings in the past. The general cheering among developers after this news is rather restrained. There are several reasons for this. 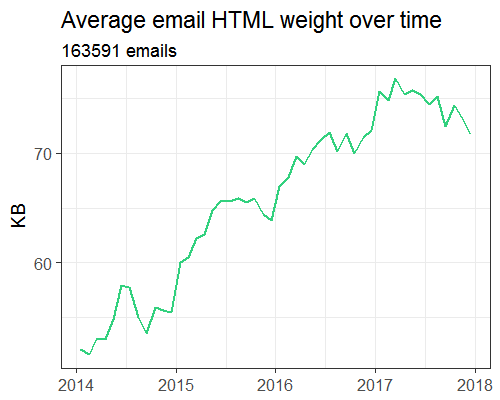 Emailgeeks add that instead of extending a contentious and Google-controlled specification to the email environment, one should have better focused on further supporting existing HTML and CSS standards to allow for forms, CSS animations and interactivity, and other things in Gmail. This looks quite different when it comes to real-time email content. Some critics believe that any email should always be like an immutable copy of a conversation, and AMP opposes this. It may apply to business correspondence and transactional scenarios. In newsletter communications, however, the way of thinking that emails are static after they have been sent has long since been superseded. Personalized email recommendations, calculated and rendered by AI-driven recommendation engines in real-time upon email opening, become more and more the norm. Emails change depending on the context – time, location, device, recent activities. This technology has already proven its value. All in all, my guess would be that in one year, AMP for Email adoption is not greater than the adoption of quick actions. Correction: s/feeling/being/. Last straw? AMP for email. Google, a message for you: stop trying to use your monopoly to rewrite web standards, k? I don’t know what internet you think you are using but I want no part of it. “Email is your electronic memory” https://t.co/FcjNXGKuwL Basically, AMP for email is a bad idea. @viticci you so anti amp you can’t see the benefits. example one thing i get is email updates on homes for sale. It’s s static page that only tells me the price and if it’s still for sale at the time the email was created. With this when you open it the info on the house can be real time. I can’t wait to hear people complain about how bad AMP for email is. AMP for gmail “Email marketers looking to leverage AMP to add interactivity to their emails will have to create a unique email entirely for Gmail.” Using MIME text-x-amphtml. > AMP […] now one of the best ways to build rich webpages > Product Manager, Gmail O’RLY? Google rolling out AMP for email is exactly an example of Google not being receptive of feedback. The functionality #AMP4Email brings is much needed and deserved for email. But is AMP, a standard owned and developed by a single company (for a single mail client – Gmail), the best way forward? This will only widen the (already gaping) support gap in email. This entry was posted in english and tagged gmail. Bookmark the permalink.